The games industry is a double-edged sword in that while there are many exciting and diverse opportunities, it is also highly competitive. To address this, Futureworks has developed a Game Art degree which will produce graduates who have an extraordinarily wide skill set, thereby making them valuable as employees of either large game developers, or smaller independent game studios – or even as talented and in-demand freelancers. Our experience in the industry made us realise that there was a clear need for a game art degree that merged traditional core art skills with 3D digital skills and also included an understanding of other roles within the game development process. And this is that course. We start by focusing on your existing traditional artistic abilities, covering areas such as life, still life and other observational art, including essentials such as proportion, anatomy and composition. This involves classes, projects, lectures and field trips and helps you to develop these non-digital aspects of your creative work. At the same time we start to bring your work into the digital arena, working with industry standard hardware and software. You will explore 3D digital art, environments, digital painting and game engines. You will also become competent in 3D modelling, learning the necessary skills including character animation, lighting and digital sculpting. Alongside these practical skills, we will give you a thorough understanding of game design fundamentals and an appreciation of the game design process and accepted workflows. You will learn the optimal balance between technical efficiency and stunning graphics. There is also a theory-strand that runs through the course which examines the historical, contemporary and future roles and influences of conceptual art. By the time you reach your third year, you will be ready for the challenge of your honours project. You will work with your tutor to define a project that will make the most of the abilities you have developed, while keeping it focussed on the career and specialisms that you hope to pursue. If you’re an A level art student who wants to develop your traditional artistic skills while at the same time pursue your passion for games, then this is the course that is ideally suited to you. 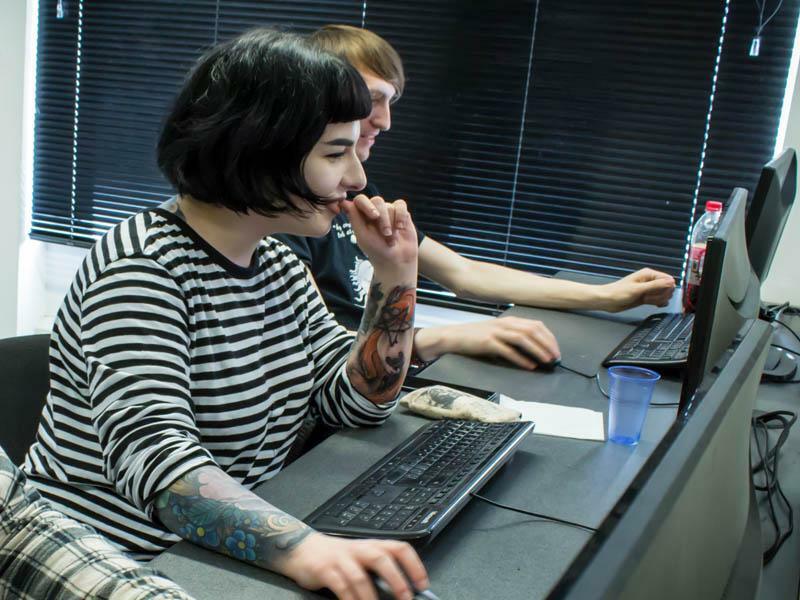 You will gain a fantastic mix of traditional and digital art skills, while acquiring a detailed understanding of related professions and your potential role in the wider games industry. You will benefit from the experience of our highly experienced tutor team who are all currently active within the industry. This means that they keep abreast of developments and ensure that the course content adapts every year to reflect the changing nature of industry. So you can be confident that the skills you are learning are relevant to the current games job market. Our tutors also insist on smaller class sizes. This allows you to receive more individual time with tutors. It gives us the time and space to personalise the course around you and for us to develop suitable projects around your chosen specialisms. With such a broad range of artistic abilities under your belt, it is difficult to list all the roles in this growing industry that are available. However, successful graduates from the Game Art degree will be in pole position to become 2D Artists, 3D Environment Artists, 3D Character Artists and 3D Technical Artists. With opportunities becoming widely available both in the UK and overseas, this is the course that could allow you to become part of the next generation of inspirational Game Artists. The final qualification for this programme is awarded by the University of Central Lancashire.